These are areas we ride in Tring. We also ride in other areas like Milton Keynes, Watford and other places around here. 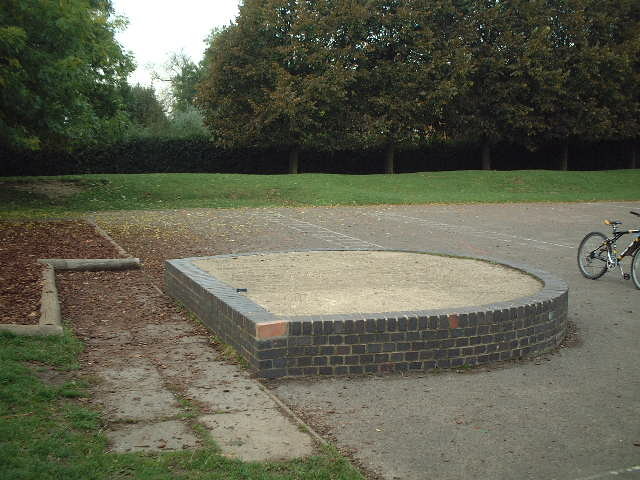 This is the main spot we ride in Tring. It's really good theres a good horse shoe shaped wall which is perfect for practicing pedal kicks up it. There is a cool 4ft gap down to a log. There is also loads of benches and logs around the school. This area is good as it has loads of thin walls and they are all different sizes. Good places to learn higher steps ups and pedal ups. Also good set of steps next to it. There are also so really good hight benches which are perfect for trials use. This place is really good there are loads of pallettes where we can make cool courses. There are also loads of other stuff like the loading bay which is about 4.5ft high and benches which are really long. But u can only go there on saturdays and sundays coz its not bust with loads of cars then. This is a good place to ride they have loads of picnic benches which are really good. There are steps and cool gaps over big flower pots. There are loads of walls which you can pedal kick up and step up. There are also some wicked gaps but some are really big or small with big drops the other side. This area is quite fun there are loads of different size walls which are really cool. There is also a gap over a bench which none of us have tried and there is a gap on to a bin which none of us have tried either. Also there is a big gap over the road.